Anna Boiko-Weyrauch and Howard Berkes at Southern Coal's Tams No. 1 Surface Mine near Beckley. NPR and Mine Safety and Health News sifted through citations, and documents for more than a year to find the connections. 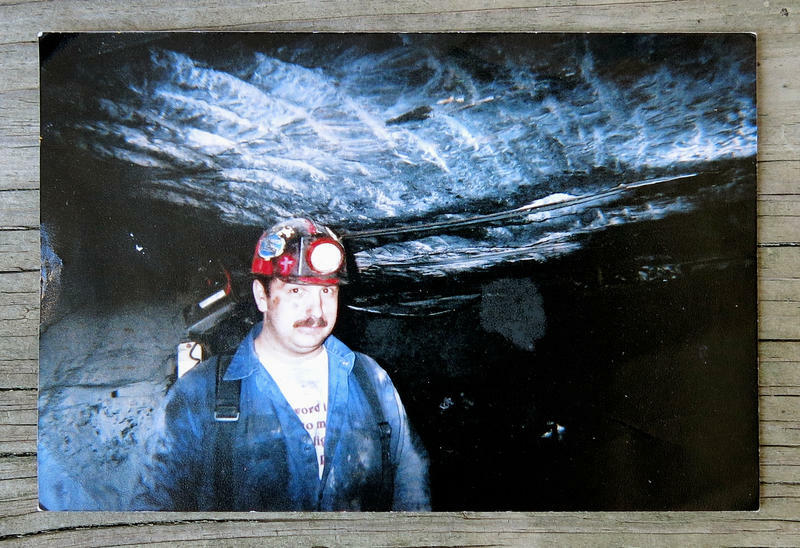 In an interview with West Virginia Public Broadcasting, NPR's Howard Berkes shared thoughts on mine safety, the development of the investigation, and the impact of the report. What are the consequences of those numbers to miners? What happens when these mines get away without paying? How many miners are injured? What's the miner's rate for delinquent vs. non-delinquent? "Those sounded like really great questions," Berkes said, "but boy were they hard to answer." Berkes said he and Hickory-Smith talked about doing this report for two years. He said it was only possible with help of an intern from the University of Missouri, Anna Boiko-Weyrauch, who knew how to mine the raw data. It was was a complex process. Each delinquent penalty has a different start date, Berkes point out. Finding answers took sifting through thousands of start dates. Berekes says the investigation found that most mines were paying their fines. So why weren't the other mines paying? “Mining companies that don’t want to pay, don’t have to, and nothing much happens to them,” Berkes said. MSHA doesn't have the authority to shut down a mine simply because they don’t pay fines. It's a lot of work to establish the amount of assets a mine has in order to seize them to satisfy a court order. What about the small companies that say they can't afford to pay? This report examined top six delinquent mining companies to find out how much coal they mined and how much it was worth. Of $721 million in profits, those companies owed about $14.7 million. Many of the delinquent mines are small, often referred to as 'punch hole' or 'dog hole' mines. "I understand it can be tough to operate a punch hole mine but a fine is part of your obligation," Berkes said. "It's part of your obligation as a mine owner to operate a mine, and you're supposed to pay it. Our figures indicate that some of these mines could have paid anyway." After 29 men died in an explosion at Upper Big Branch, Congress failed to pass meaningful legislation. Representative George Miller introduced a bill that would create a deadline for operators to pay fines, but it hasn't gone anywhere. "If Congress couldn't pass meaningful mine safety legislation after that disaster I don't think this [report] will move them either," Berkes said. NPR's Howard Berkes explains what it takes to find out the consequences of delinquent fines. Listen to hear more from the ceremony.